Catherine Walsh teaches and writes principally in the areas of secured transactions and private international law. 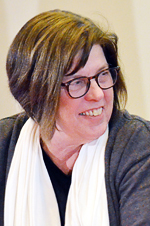 Formerly a professor in the Faculty of Law of the University of New Brunswick, her move to McGill in July 2001 reflects her strong interest in the comparative and international dimensions of these subjects. She has a long standing commitment to law reform, and has been actively involved in a number of national and international reform initiatives, including participating as a member of the Canadian delegation to Working Group VI of the United Nations Commission on International Trade Law (UNCITRAL) in the development of a series of multilateral legal instruments in secured transactions law. 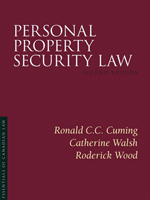 She is the co-author, with Ronald Cuming (Saskatchewan) and Roderick Wood (Alberta), of Personal Property Security Law (Irwin Law, 1st ed. 2005, 2nd ed. 2012). 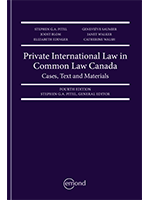 She has been a contributing co-author from the outset of Private International Law in Common Law Canada: Cases, Text and Materials, the 4th edition of which was published by Emond-Montgomery in 2016. Before commencing her law studies, Catherine Walsh worked as a CUSO volunteer in Ghana, an experience that contributed to her subsequent interest in comparative and international private law. "This book examines the legal framework for secured credit set out in the Personal Property Security Act. First proclaimed by Ontario in 1976, the PPSA is in force today in all nine common law provinces and the three federal territories. This second edition updates the area of personal property security law in Canada with new caselaw, including some important SCC cases..."